There is currently much discussion regarding the causes of terrorist acts, as well as the connection between terrorism and religion. Terrorism is attributed either to religious 'fanaticism' or, alternately, to political and economic factors, with religion more or less dismissed as a secondary factor. 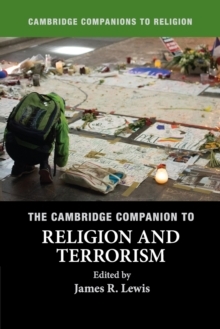 The Cambridge Companion to Religion and Terrorism examines this complex relationship between religion and terrorism phenomenon through a collection of essays freshly written for this volume. Bringing varying approaches to the topic, from the theoretical to the empirical, the Companion includes an array of subjects, such as radicalization, suicide bombing, and rational choice, as well as specific case studies.